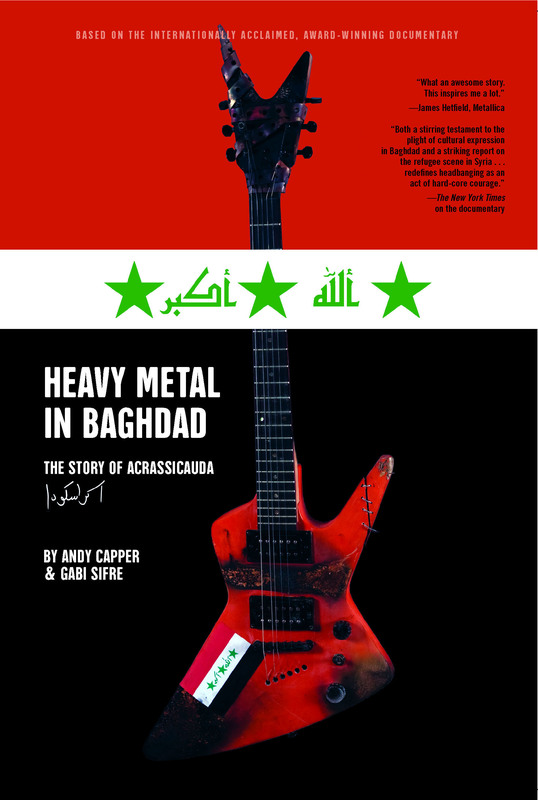 documentary Heavy Metal in Baghdad featuring the members of Iraq’s only heavy metal band—Acrassicauda—and their daily struggle to survive and rock on even as their country fell into a bloody insurgency. Acrassicauda (Latin for a deadly black scorpion) is Iraq’s only heavy metal band. Inspired by groups like Metallica, Slayer, and Slipknot, the band began writing and playing metal in 2001, performing a handful of shows before the war started in 2003. With increased security precautions throughout Iraq, it became difficult to practice or even get through a show without serious problems. When they began receiving death threats from insurgent groups and religious fundamentalists accused them of Satan-worship, they became a band on the run. As recently seen in the feature film documentary of the same name, Iraq disintegrated around them while Acrassicauda struggled to stay together and stay alive, always refusing to let their heavy metal dreams die. Their story echoes the unspoken hopes of an entire generation of young Iraqis, and it became a race-against-time humanitarian effort, irrevocably transforming everyone’s lives in the process. Going beyond the documentary to explore all the players’ unique perspectives, Heavy Metal in Baghdad features new information about one of the most dramatic and unique stories in modern music.